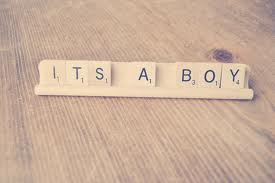 Well, it was a baby girl…….but, only for a day…….and now it’s a baby boy…….but, it could be a day, or many, many days. When I took the call yesterday from the agency that they were coming to pick up the little princess, they asked if we would take in a bouncing baby boy. Yet, this time, it’s personal. You see, as of yesterday, Coconut has a brother. Taking in children has brought many blessings into our lives, but also a few complications. We have weathered a two-year-old who was beaten on a regular basis, and almost killed. Another two-year-old who was on full attack and defend mode, with hitting, biting and screaming. Then came a cocaine baby who had to be awoken just to eat, and then would only eat an ounce at a time. Blue Eyes came with severe attachment issues and a whole other host of problems. However, up until this moment, they were all unrelated cases, completely separate and individual. We are not sure how all of this will pan out, and how it works with siblings who have one different parent. I cannot even imagine how their mother feels, as with my pregnancies, the only worry I had was how I would be a good mother (which is worry enough in itself). Living in fear that the moment I gave birth, authorities would come and take my baby……that is more than I could bear. So, as I carefully launder our baby boy newborn wardrobe, pack the diaper bag, prepare the nursery, and organize our baby supplies, I do it with a conflicted heart. While I am so glad to be in the Will of God, and I am thrilled that Coconut will be able to spend time with his brother, I cannot forget that a mother has been separated from her newborn……no matter the reasons. I pray for the biological parents, I pray for the baby, and I pray that we will be able to handle such a different goodbye, if it comes to that. We would not be simply saying farewell to a child that we have no ties to, we would be saying goodbye to a piece of Coconut. Just when we thought we had seen most of what foster care could throw at us…….